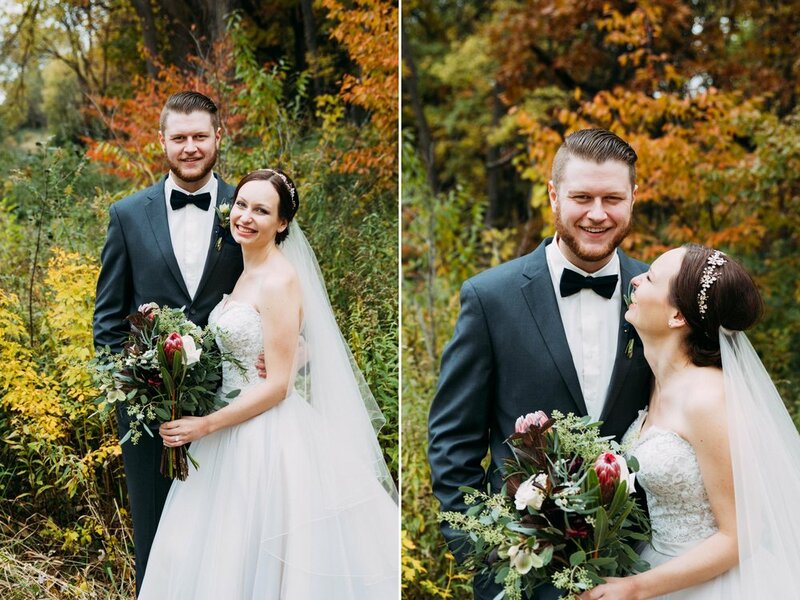 Sara & Tom’s wedding was in the midst of a very busy, but very beautiful October full of weddings for us! We knew their wedding day would be memorable, filled with laughter and fun - just as their engagement session had been last December! 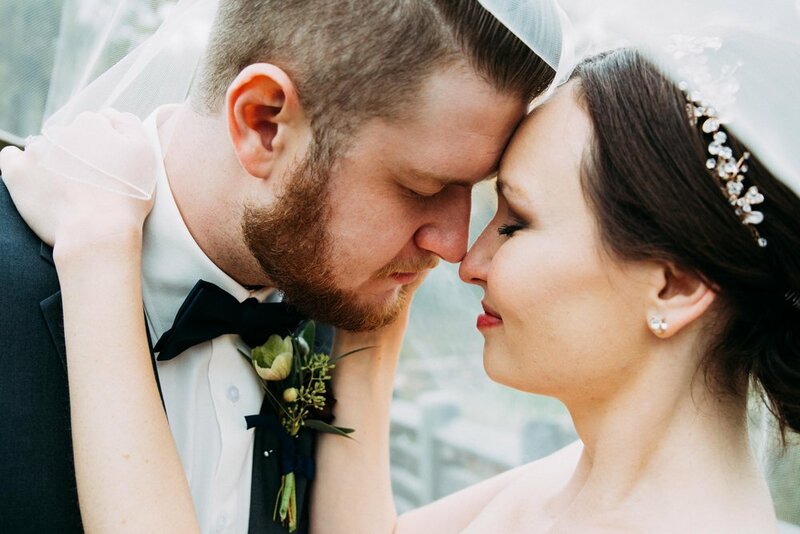 We’re beyond thrilled to share their highlight video as well as many of our favorite images from their once-in-a-lifetime celebration! 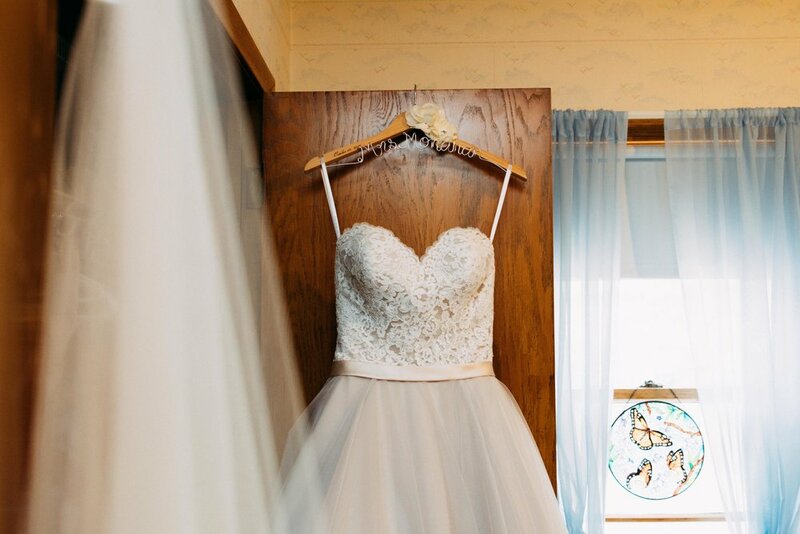 Sara prepared for her wedding day at her parents’ home, surrounded with the love of her beautiful friends. 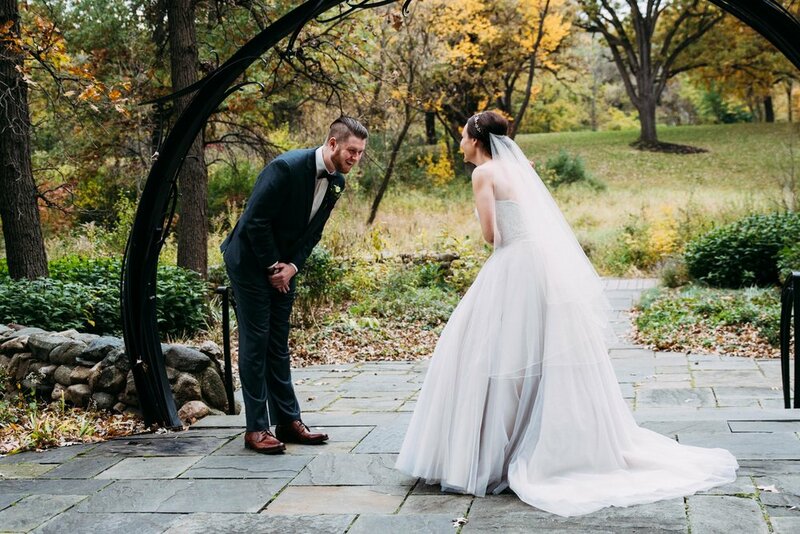 In her stunning gown, she headed to The Charles H. Burwell House in Minnetonka to see Tom for the first time on her wedding day! The couple could not have picked a more perfect fall day to commit to one another. The Minnesota fall colors were simply stunning! Despite the slight breeze, it was a very comfortable temperature outside as we did the first look and other pictures following! Sara & Tom’s portrait time was filled with laughter, silliness, and the occasional “Let’s be serious and look like we’re on the cover of a magazine!” moment. These two could quite honestly be gracing the cover of a wedding magazine and you’ll surely be seeing some of their photos appear all over our website! 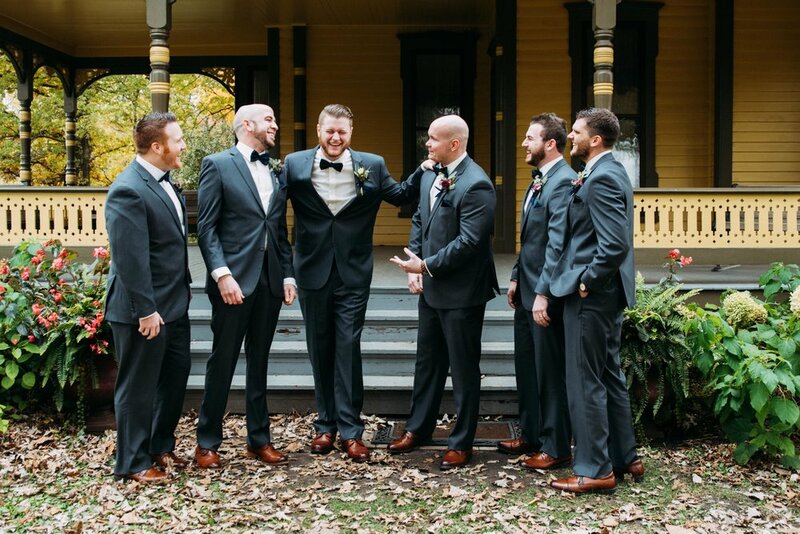 Sara & Tom had picked some fantastic people to stand by them for their wedding day! We don’t think that we’ve ever had a group of ladies tell better jokes or men feel so natural in front of the camera. It is so clear that Sara & Tom are loved by their friends through these photos! Also, let’s talk about the stunning color palette that was planned. We’re major fans of jewel tones - the dresses and bouquets popped beautifully with the autumnal colors! 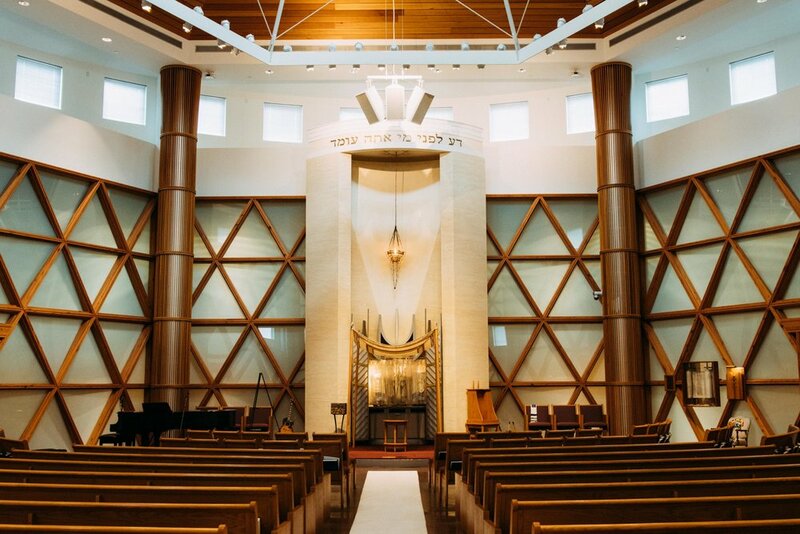 Following portraits at the Burwell House, we drove over to Bet Shalom Congregation in Minnetonka. Before the ceremony, Sara & Tom signed the Ketubah, an essential part of a Jewish wedding and marriage. It was a beautiful moment to watch as parents gave their children to be married. 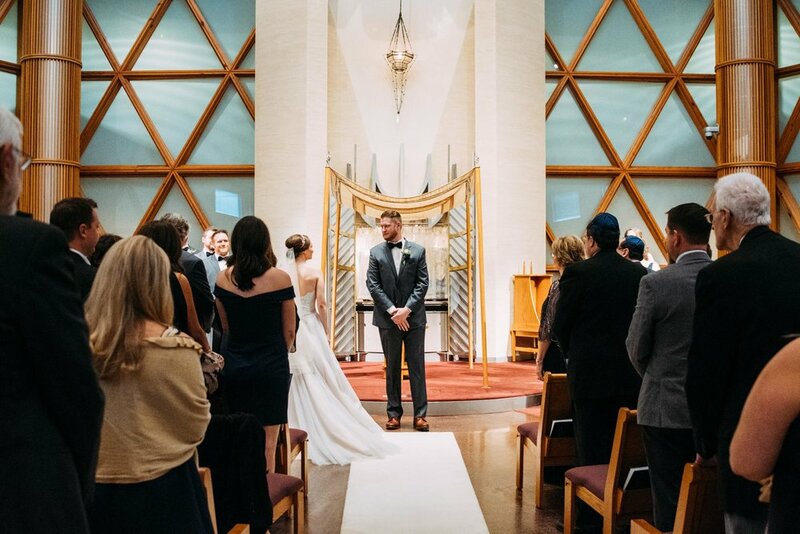 Within the beautiful synagogue, Sara & Tom said their vows, exchanged rings, and became husband and wife with the support of their loved ones. As with many couples, we love to share some of the earlier stages of their relationship. So…how did Sara & Tom meet? Okay, this is easily our favorite part of their love story! Sara’s mom & Tom’s mom set the two up on a blind date about five years ago and they’ve been together ever since! How cool is that? At the reception, we saw all of the details Sara had so fervently planned come together! 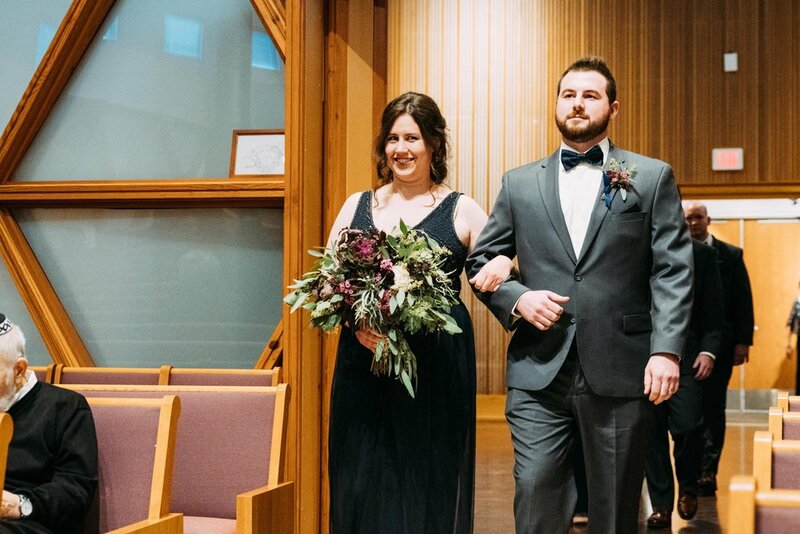 From beautiful place settings and centerpieces to selecting a venue that highlighted their class and elegance so well, the reception was the perfect party to celebrate their new marriage! A honeymoon to Maui sounds like a pretty great way to start your lives together… Sara & Tom, we’re wishing you all the best in your marriage.